Tecsys Welcomes Bill King as Chief Revenue Officer - Tecsys Inc.
Press Release from Tecsys Inc.
MONTREAL, Jan. 29, 2019 /PRNewswire/ -- Tecsys Inc. (TSX: TCS), a Montreal-based supply chain management software company, is pleased to announce the appointment of Bill King as chief revenue officer, effective today. King joins Tecsys from Oracle Corporation, where he accelerated commercial growth through key account development and new market penetration. In this new executive position, King will lead Tecsys' sales teams and overall go-to-market strategy. 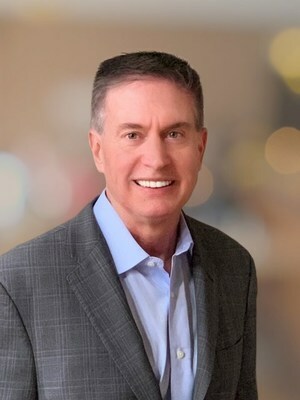 "We are thrilled to have Bill on board to help guide commercial growth and build on Tecsys' reputation for delivering customer lifecycle value," said Tecsys' President and CEO Peter Brereton. "Bill brings with him a successful record of solving customer challenges and a breadth and depth of experience that will be a tremendous help for our existing customers and our market expansion." "I have spent most of my career helping companies navigate and extract value from strategic technology investments," explained King. "I am excited to join Tecsys because they have done a fantastic job empowering companies to overcome complexity by leveraging technology – letting them become world-class organizations through their supply chain. As Tecsys enters into its next phase of expansion, I look forward to leveraging the revenue opportunities ahead of us and defining with our customers a path to long-term success." Over 600 mid-size and Fortune 1000 customers trust their supply chains to Tecsys in the healthcare, service parts, third-party logistics, and general wholesale high-volume distribution industries. Tecsys' shares are listed on the Toronto Stock Exchange under the ticker symbol TCS.